Step back in time this summer by visiting England’s Medieval Festival as I've got a family day pass to give away! 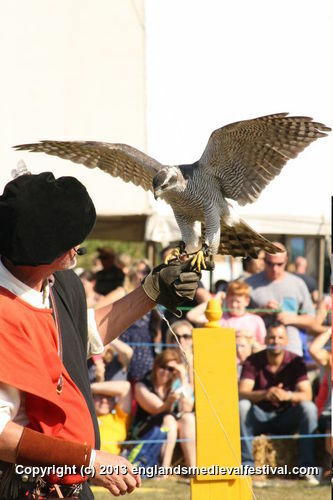 The festival, based in Herstmonceux, is an authentic, one-of-a-kind event in the UK with a very special blend of history and fun for the whole family. 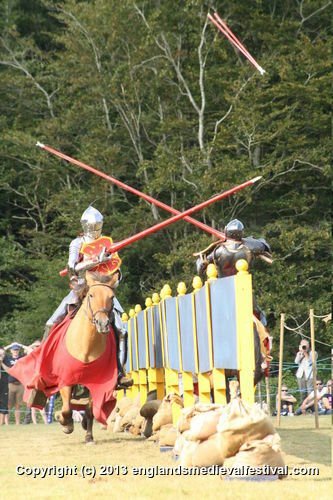 From the moment you arrive you are surrounded by the sights, smells and excitement of medieval times. 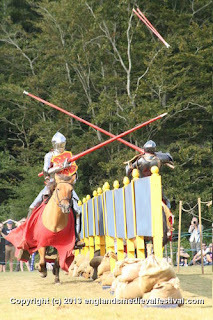 Realistic historical battles, jousting, performers, horses, archery, music, traditional crafts, eating, drinking, shopping and day-to-day life of the past. 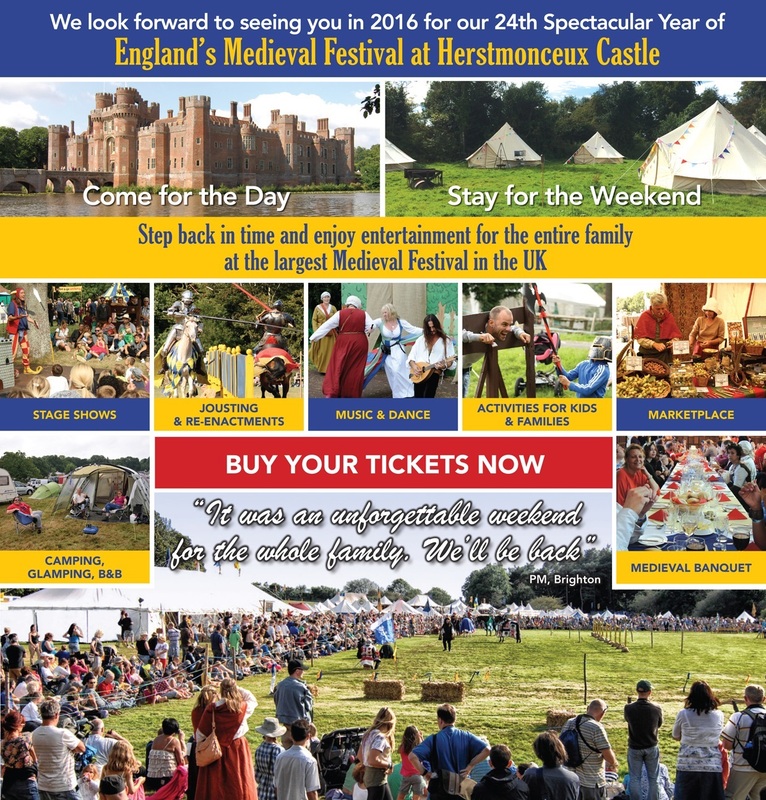 Herstmonceux Castle is a fairy tale setting for a totally different family weekend. Wizards, jesters, knights, dragons and princesses await the kids. Guests can enjoy medieval glamping, standard camping in the castle grounds, or even a real bed in the onsite B&B. Or just come for the day. - Theatre in the Mud. The Mud Brothers return for more hilarious and messy fun! - Kids’ Kingdom: drum, sword, circus, jester schools, archery, medieval bushcraft, pony rides, puppet theatre and shows, medieval skittles and crafts, campfire storytelling and star-gazing. - Stunning surroundings in the beautiful castle gardens and grounds with optional camping. To be in with a chance to win this family day pass, simply use the Rafflecopter form below to enter in lots of different ways. Good luck! I would like to go to this to spend some quality time with my family. I love history and am really interested in the Middle Ages. There is actually a lot of culture that is minimized. And my 3 year old daughter is interested in castles, so I'm sure she'd love seeing one. My children have studied medieval tournaments at school. I'd love for them to see the real thing. The Mud Brothers sound like something my girls would love to watch! This looks so cool, I love history! This looks like such a fun day out for the family! Looks like a great family day out. Thanks for the competition!